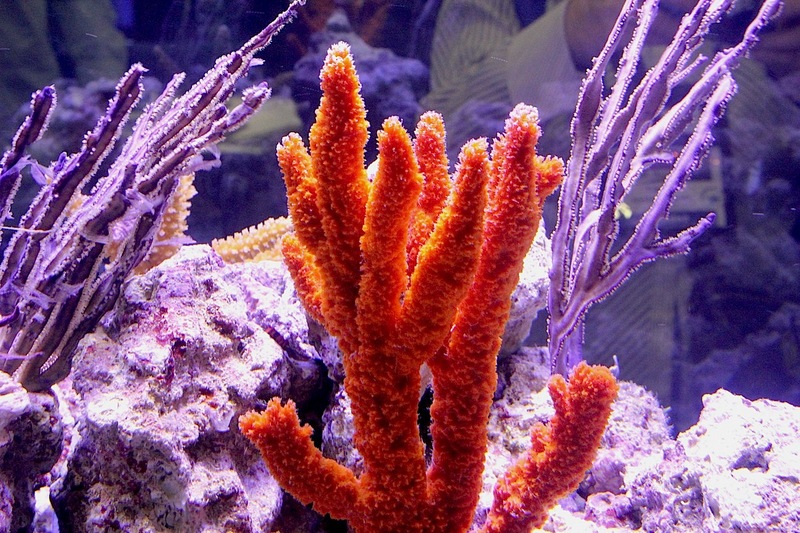 Pictured in this installment of the AquaNerd Picture of the Week is an orange finger sponge seen in the Coral Restoration Foundation reef tank at the Boyd Enterprises booth at MACNA. We don’t get to see to many sponges in the aquarium hobby, and we assume this is because so many people think they are hard to keep. However, with a little research and proper execution of feeding techniques, sponge keeping isn’t all that difficult. As with any new fish, coral, or invertebrate, hobbyists have to know what the animals requires to thrive. Sponges are filter feeders, and therefore need to be fed a great deal of planktonic food. Intense lighting is not required, and hobbyists should avoid exposing the sponges to air whenever possible. Just curious, what happens when a sponge is removed from the water? I’ve seen that suggestion for different things but never quite know why. Are there other organisms that shouldn’t be uncovered as well? what is the purple one behind it called?? ?